PONDA: A high voltage election battle is raging in Shiroda. With only a week to go for the by-polls, the MGP, BJP and Congress have intensified their campaigns by conducting a number of corner and public meetings. The poll battle has turned high voltage in Shiroda as all the three main political parties are focused on winning the Shiroda seat. MGP candidate Deepak Dhavlikar and BJP candidate Subhash Shirodkar have pressed into campaign a large number of supporters since past few days. Congress candidate Mahadev Naik, who began his campaign late, is seen campaigning with few selected supporters. “Campaigning with few supporters will not affect my poll prospects,” he justifies. In a show of strength, Shirodkar held a huge rally in the constituency, recently. Chief Minister Pramod Sawant also attended the rally. Pointing out that Sudin Dhavalikar was PWD minister for the past two decades, Sawant alleged that he did not solve the water woes, but now is assuring to solve the water crisis. “Who stopped Sudin from solving the water woes when he was minister for such a long time?” he questioned. 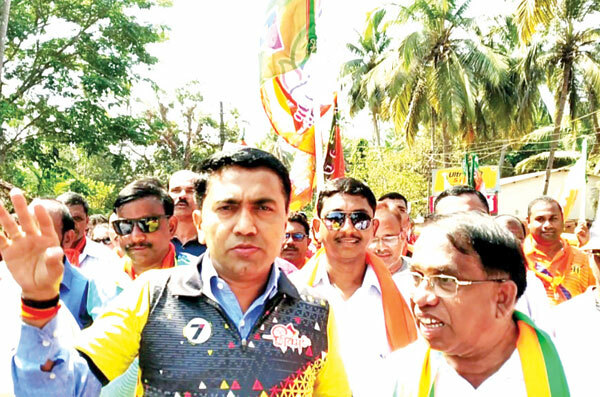 The chief minister asserted that present strength of BJP in the Assembly is 14 and after the by-election results it would go to 18 as BJP is sure of winning all four by-polls in Goa. He further said that all the assurances given by Subash Shirodkar in his manifesto would be fulfilled.